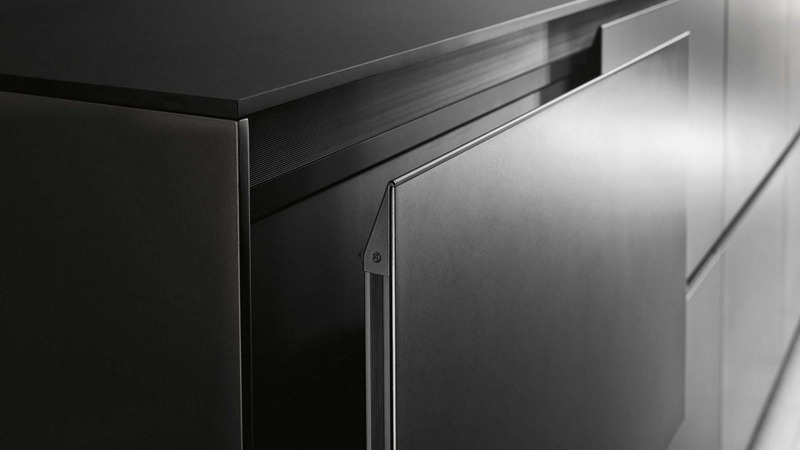 We have worked on extreme door dematerialisation to meet requirements in terms of functionality and silhouette. Riciclantica stands for “lightness and resilience”: the lightest door in the world fits into an aluminium structure that is water-, steam- and heat-resistant. 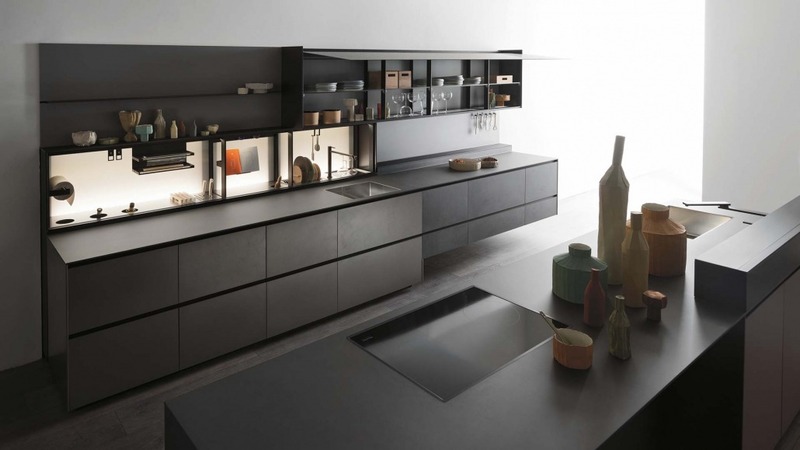 This makes it possible to plan kitchen layouts with wall-hung units, allowing for the utmost freedom of arrangement and movement and creating a durable and cutting-edge design. 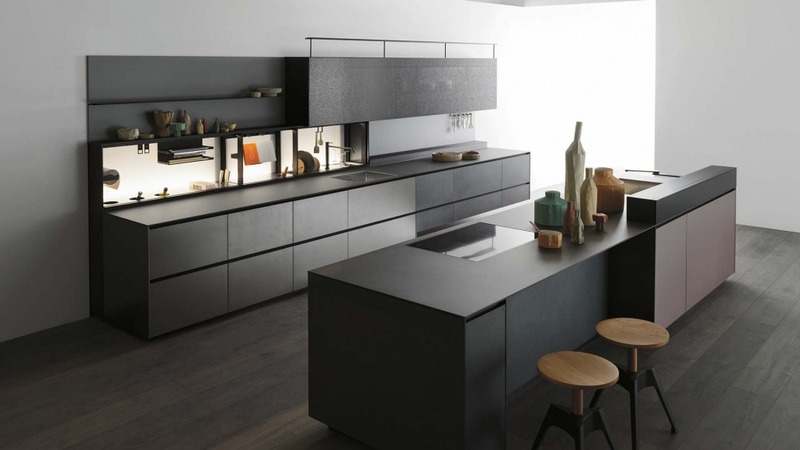 Due to the remarkable reduction of materials used, combined with the eco-tech finishes, this kitchen is sustainable yet innovative, designed for those who pay a great deal of attention to their well-being and to living in harmony with nature. 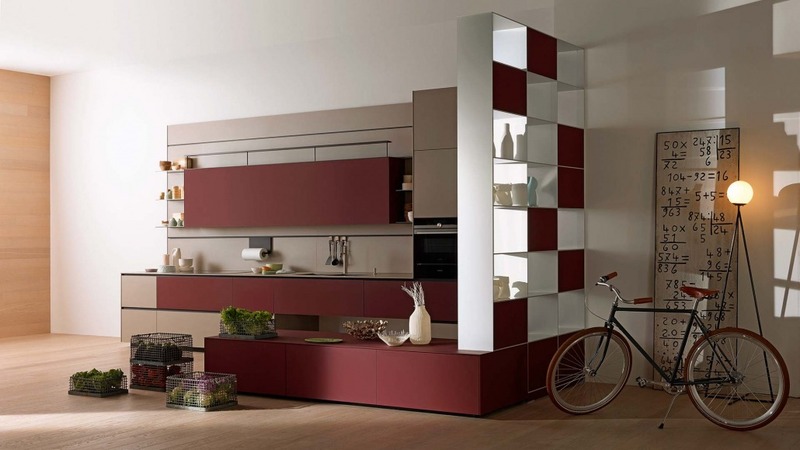 Find out more about the value of Well-being for Valcucine. 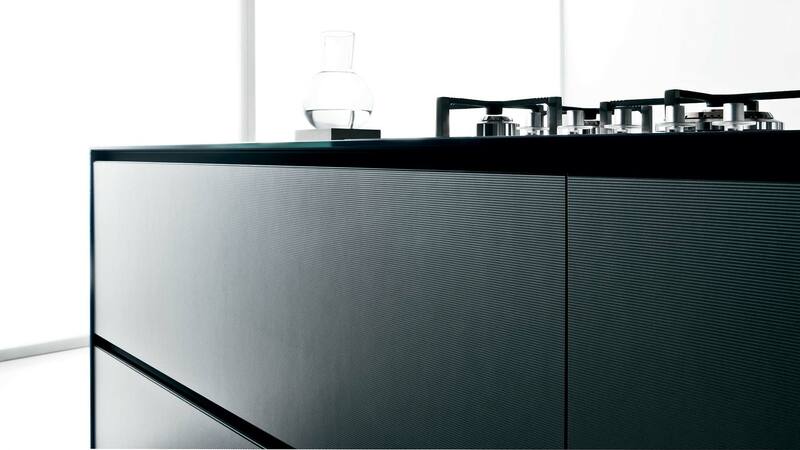 Find out more about Valcucine’s Timeless value. 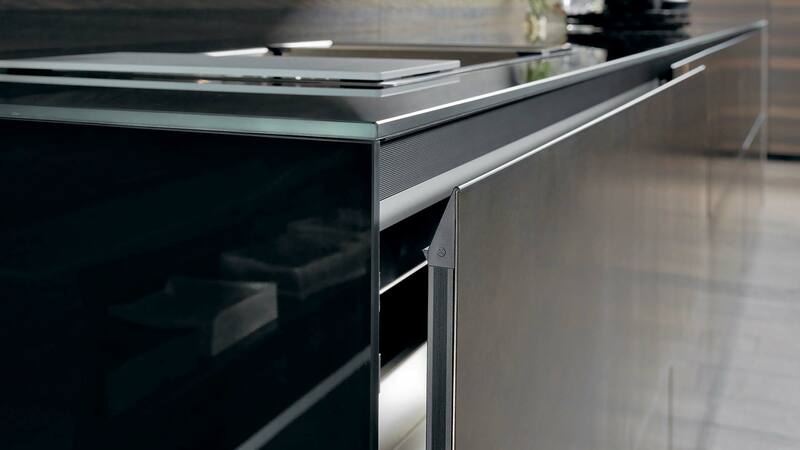 Find out more about the value of Innovation for Valcucine. Thanks to the technology of our aluminium framed doors, that allow us to use “pure” (not bonded) materials, we have enhanced the properties of one of the most versatile and practical materials: laminate. 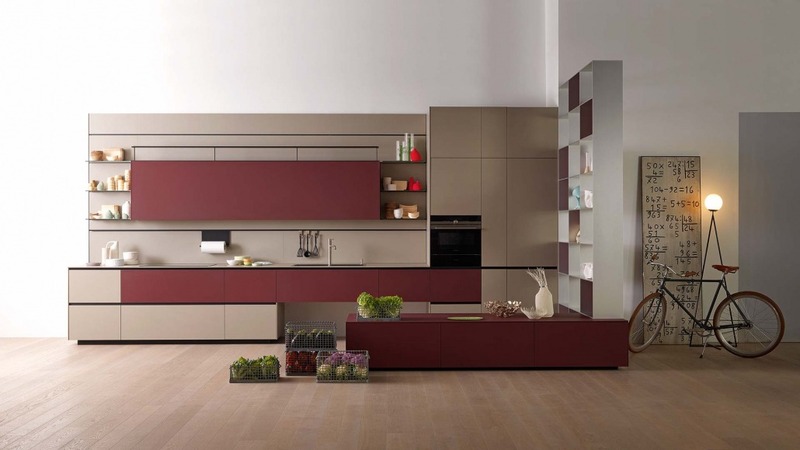 This is how kitchens with doors that have a very high resistance to humidity, heat and impact are born. 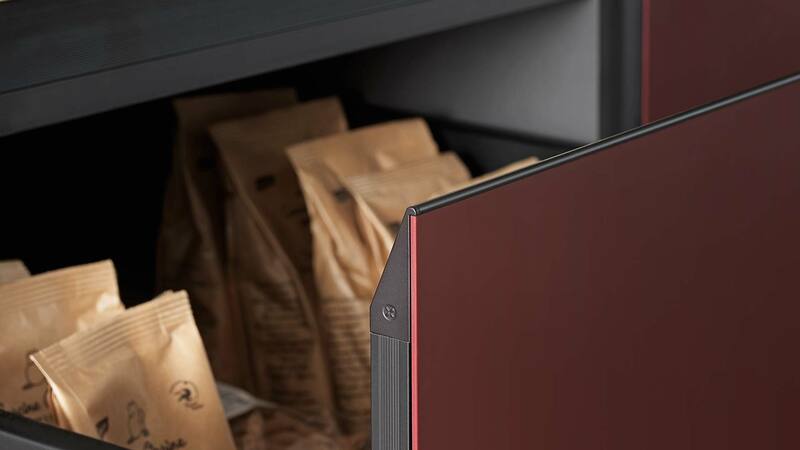 Moreover, their lighter weight makes the hinges last longer as well as ensuring soft and silent opening and closing movements over time. 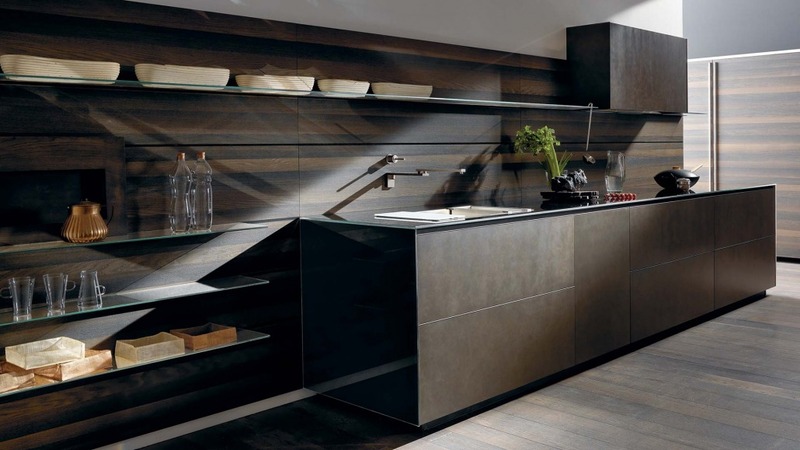 Using metals in your kitchen gives the kitchen layout a unique appearance. 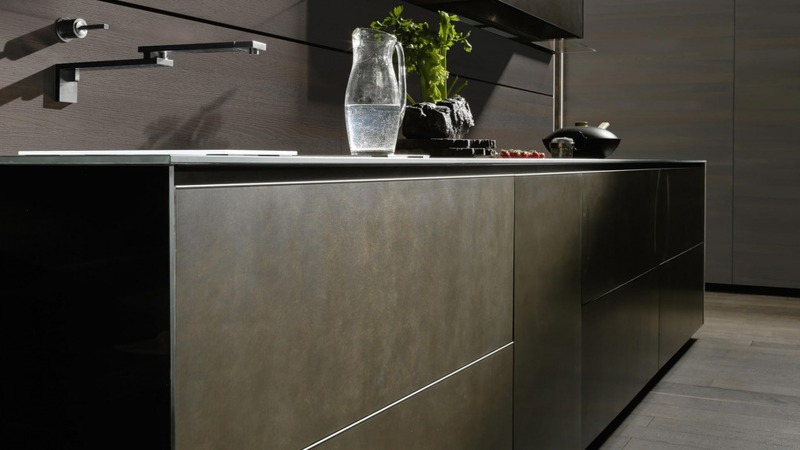 The use of metals is inspired by professional kitchens and conveying their appeal is growing increasingly in homes because of its hygiene and resistance qualities. 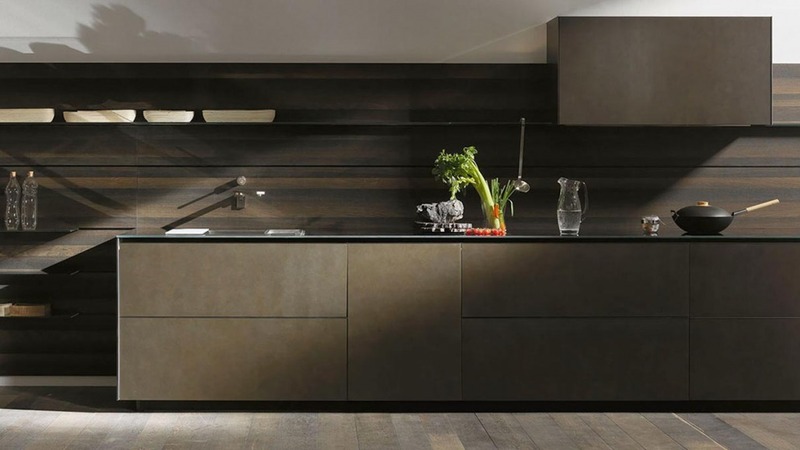 All the wood finishes used in our kitchens respect the pursuit of wellness through the tactility of surfaces: the sensation conveyed by the warmth and feel of the material at your fingertips makes ancestral sensations come to life. 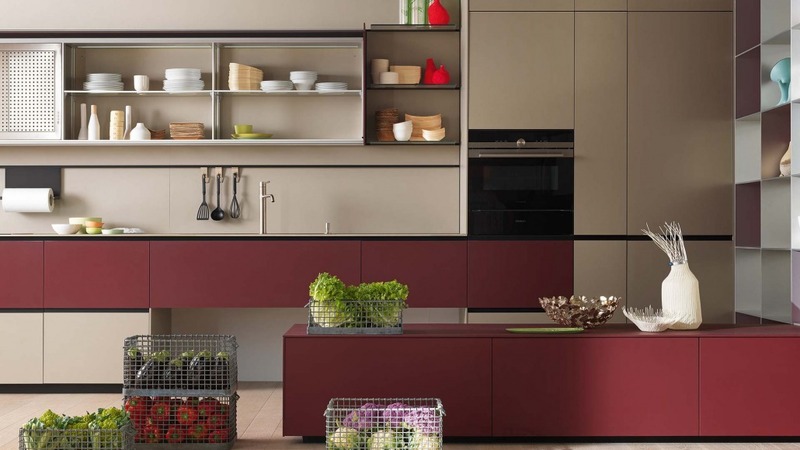 We also ensure timeless aesthetics; the wood species used in our kitchens are completely free from toxic substances; they are protected by a water-based varnish from which all aromatic solvents, that are very carcinogenic, have been removed.